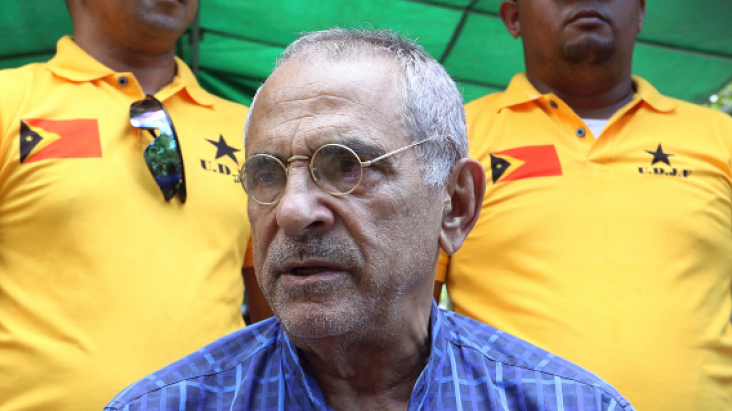 Nobel Peace Prize laureate Jose Ramos-Horta has urged Indonesia's government to hold talks with the Papuan independence movement to help end a decades-long insurgency in the country's easternmost region. Ramos-Horta, joint recipient of the 1996 Nobel prize for efforts to bring independence and peace to East Timor, which suffered a brutal Indonesian occupation for nearly a quarter century, said he believes the Papua region's future is within Indonesia, not as a separate state. "Talk to the Papuans, the OPM (Free Papua Organization), but as brothers of Indonesia," Ramos-Horta said in an interview last week. "The Papuans, they have to feel that the government, the people in Java, really care about them." The conflict between Indonesia and the rebels, who number perhaps just several hundred, flared again last month when armed separatists in Nduga killed at least 17 people working on a trans-Papua highway construction site that's a key part of President Joko Widodo's efforts to bring development to the impoverished region. The government has said accusations that the military fired at villages with white phosphorous projectiles, a banned chemical weapon, in retaliation are "totally baseless, nonfactual and gravely misleading." At least four people were killed in the security operation. Wiranto, the top security minister, has rejected the idea of talks. Police have arrested then released hundreds of suspected independence supporters and raided offices of the West Papua National Committee, a civilian group that advocates for self-determination. In Timika, police occupied the committee's secretariat, graffitied it with slogans such as "Indonesia Forever" and demolished symbols of the independence movement. Ramos-Horta, East Timor's president from 2007 to 2012, said restraint is needed on both sides. "So first, they must give up on armed attacks on Indonesian civilians or military authorities, but at the same time the Indonesian military also have to restrain themselves from not cracking down, attacking ... people every time they demonstrate," he said. An independence movement and an armed insurgency have simmered in the formerly Dutch-controlled region since it was annexed by Indonesia in 1963. Indonesian control was formalized in 1969 with a referendum known as the "Act of Free Choice" held in an atmosphere of heavy intimidation in which only 1,026 Papuans were allowed to vote. Nowadays, indigenous Papuans, largely shut out of their region's economy, are poorer, sicker and more likely to die young than people elsewhere in Indonesia. Decades of Indonesian military brutality and impunity have contributed to deep resentment of Indonesian rule. Ramos-Horta, however, said the situation in Papua is not comparable to East Timor's independence struggle and there's no role for the U.N. in the conflict. He believes Widodo, who is seeking a second five-year term in elections due April, is committed to ending the conflict without revising Indonesia's borders. "He will make every effort to engage the brothers and sisters in Papua in dialogue to find a resolution for the conflict," he said.